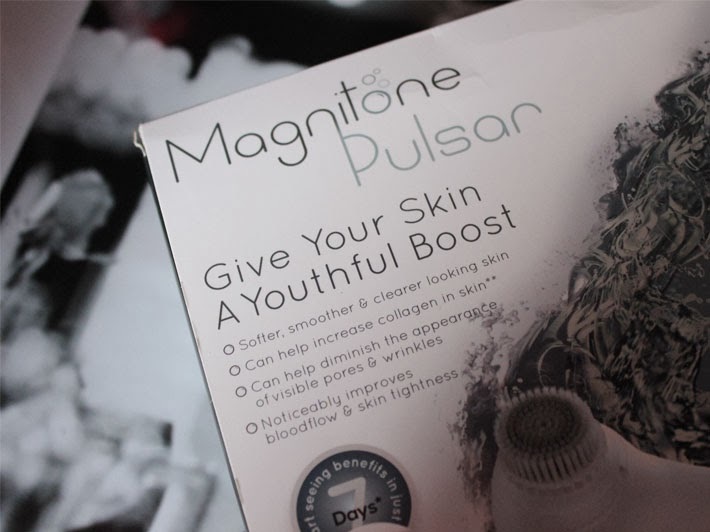 The Magnitone Pulsar is a electronic cleansing brush, which is proven to reduce signs of ageing, improve skin quality and reduce the appearance of pores. It can be used on your face and body provided you use the different brush attachments provided in the box, which just slide in and out of the handheld system with ease. (The sensitive heads came separately) The box also includes tons of instruction manuals, making it easy to get used to, and it also comes with a stand and charger system. Day 1- Morning felt like a brilliant exfoliation, skin texture was smooth, and skin looked luminous, however on the second use that day it felt a little harsher on the skin, but I guess my skin was just getting used to it. All skincare products used afterwards seem to be absorbing much better than normal, hence getting more moisture into my skin. Day 2- The harsh feeling had left completely, and the skin around my nose looked less red. Day 4- I can visibly notice a difference in the (cough) blackheads on my nose, with the skin looking impeccable on my nose, and dare I say, giving me even better results than my beloved Glamglow Super-mud. Day 5- Skin tone and texture feels and looks completely even. Day 6- Noticeable difference in application of makeup now, meaning all my foundations go on smoother, last longer, and my skin looks much brighter even without the use of any brightening products. Day 7- All in all, skin tone is much more even, skin looks plump and is well hydrated, appearance of pores have decreased, I feel much more confident with my skin, and LOVE the results. It has four different modes, as seen in the picture above, and each holds a different purpose. 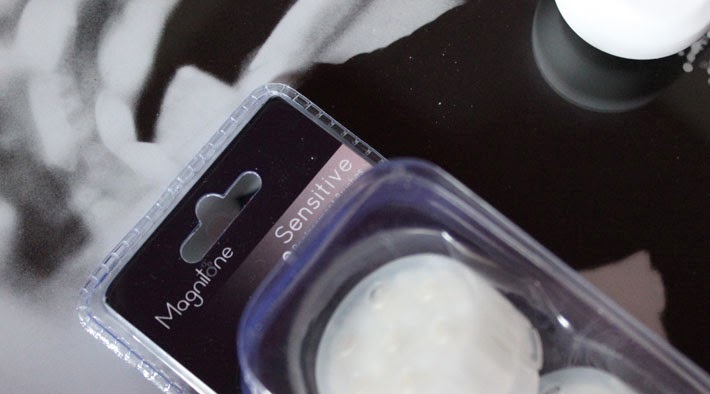 The sensitive option is, yes, you guessed it, for sensitive skin. Pulse-lift Massage is the most bizarre sensation of the four, but helps blood circulation in your face, which is the magic which helps reduce signs of ageing. Exfoliation (suggested option for your body) and Deep Clean are quite self-explanatory, too aren't they? 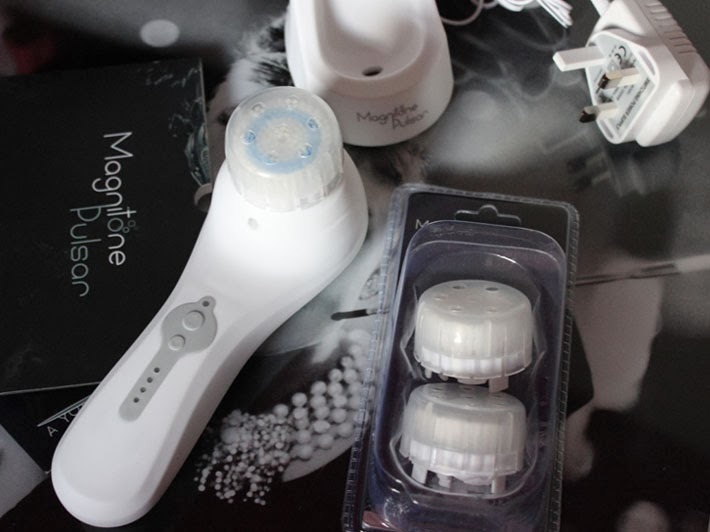 I'm SO impressed with Magnitone's facial cleansing brush, and I've no idea how I lived without it. Can't recommend it enough! I absolutely loved doing this type of post last week, it was so much fun, it was (as I have now donned) "Pinning with a purpose." So I thought I'd play around on Pinterest once again and show you some beautiful street style inspiration. I seriously hadn't noticed until I compiled an image with them all together just how many pairs of shoes and nail polishes I want. Wishlists don't get much girlier do they? The Office loafers are just a perfect feminine loafer, and would be ideal for work and play, I'm just reasonably terrified of the £95 price tag. If anyone wants to treat me, I'm a size 6. Same goes for the much more casual burgundy Topshop pair, however these come in a lot cheaper at £20, I'd appreciate them in a few colours, especially these, and the cute pastel pink pair. Dior is my weakness, and it's no secret, but I've been on the hunt for a subtle pink shade with a slight sheen, which looks natural but girly (I WILL be specific where lipstick is concerned) and Dior have it spot on with their Addict lipstick in the shade Exotique. I have a perfect white nail polish by Models Own, and the formula of the polish just isn't there for me, so I'm dying to get my hands on OPI's Alpine Snow after hearing about it being the best white polish out there. I've been swooning over the Chanel Notes du Printemps Spring 2014 collection since the images first surfaced back in November, and no website at all was giving a UK release date, I tweeted Debenhams last night, and they said to look out on the 24th Jan- two days away! Lets all get excited!! My first purchases from the collection will be Le Vernis in Ballerina and Tapage, then I may consider that beautiful frosted pink Illusion d'ombre. What's on your radar at the moment? Since Spring is (HOPEFULLY) on the way, we all need some wardrobe and beauty updates, right?! 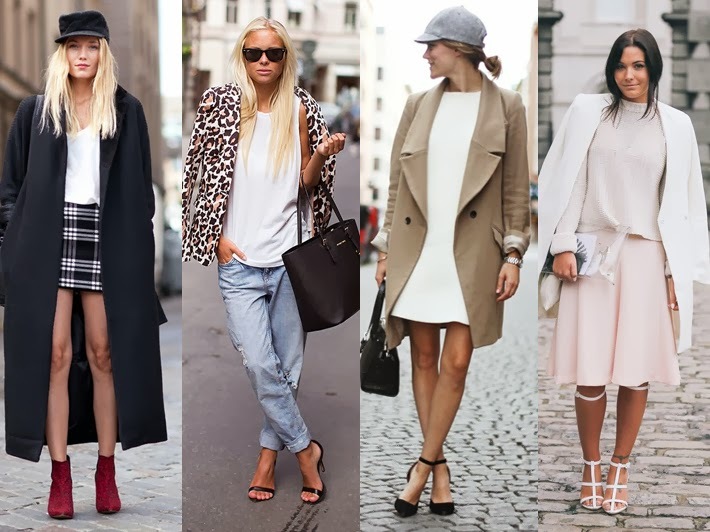 I LOVE a little bit of Pinterest, and the street style snaps on there can be pretty damn amazing, so I thought I'd do a little bit of style-spo (sorry) from the website that seems to have females glued to computers and tablets, like a squirrel is glued to nuts. I've never been in love with a dress as much as I am with Phoebe Tonkin's Alex Perry dress, I literally spent four hours of my life trying to find out who it was by, only to discover it isn't available in the UK. Aussie road trip, anyone? It feels like an absolute life time since I last shared my favourite things with you, I think mainly because it IS a life time since I did. Let's not look at dates or anything, it could prove a little scary. Avene Thermal Spring Water - Not the first time this stuff has featured on my blog, but since I've been using it religiously as part of my cleansing routine (which, yes, was one of my New Year's resolutions!) I've noticed a visible difference in my skin, and the hydration levels, too. 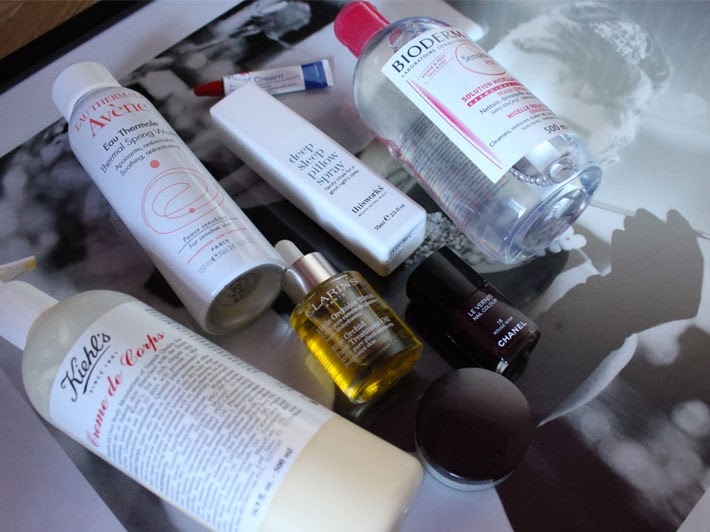 Kiehl's Creme de Corps - at first, I was apprehensive, and thought, it's just a body lotion, but BOY was I wrong... It's a thick, not strongly scented lotion, which leaves your skin hydrated for days, gets rid of the winter dryness, AND, leaves your skin with that glow that you only ever seem to see on Victoria's Secret models. All in all, I think I've been converted from Soap and Glory. Bioderma Sensibio - don't think this one needs an explanation, does it? OPI Avoplex Cuticle Oil - I've had a ton of cuticle oils, and I find them to be a necessary part of a manicure to make sure the polish lasts longer, and to keep nails/cuticles hydrated. This one, is so far the best I've ever tried, it smells so fruity, and is a thick oil, which goes quite a long way, meaning, a day and night application every day doesn't leave the bottle empty within a couple weeks. Laura Mercier Secret Brightening Powder - I've heard mixed reviews about this product, but unsurprisingly when miss Zoe Newlove said she loved it, I thought, yep, I don't need any more convincing. I bought it with the LM fan brush, and it really is fantastic for brightening up the under eye area. I've used it on a few occasions without any concealer and it really does make the difference that other translucent setting powders just don't offer. All in all, I LOVE this product, and don't know how I ever lived without it.